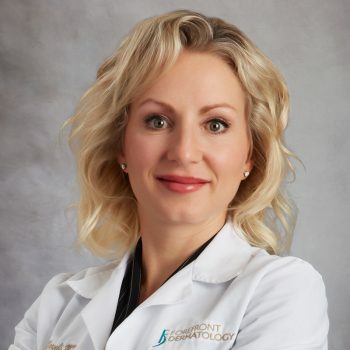 Dr. Wernli is a Board-Certified Dermatologist who is knowledgeable in medical, surgical, and cosmetic dermatology. 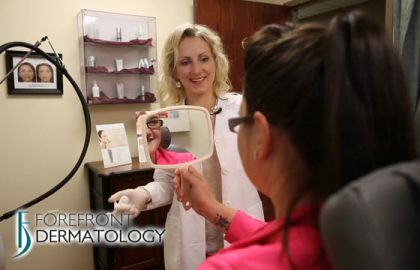 Professional areas of interest include early skin cancer detection and treatment, treatment of acne, rosacea, psoriasis, eczema, hyperhidrosis, blistering disorders and cutaneous lymphomas. 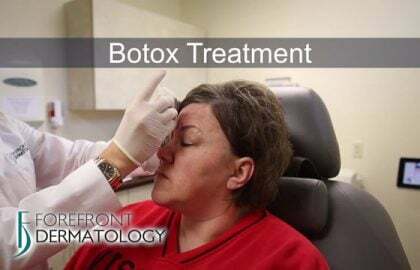 She also specializes in cosmetic dermatology, including Botox, fillers, chemical peels, laser surgery, acne scar reduction surgery and sclerotherapy for leg veins. 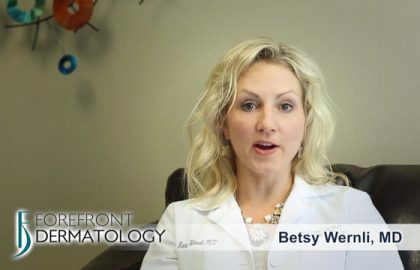 It is very satisfying to be able to help people overcome skin conditions and look and feel better. It was a very quick appointment! She addressed my concerns and gave me a solution to try! Dr. Wernli did an awesome job! This was my first experience with Dr. Wernli. She demonstrated exceptional skill in the procedure she conducted for me. In addition her "Bedside" manner was the best. She took an interest in me personally. She listened, and responded to my individual needs. Thanks Dr. Wernli! With Dr. Wernli, what you see, is what you get!! She is smart, and can determine a diagnosis within minutes. I have never met a Dr. who is more sincere. She will always be our "go to" Dr. May God Bless Her! Dr. Wernli is quick and decisive but never rushed. She knows what she's doing. 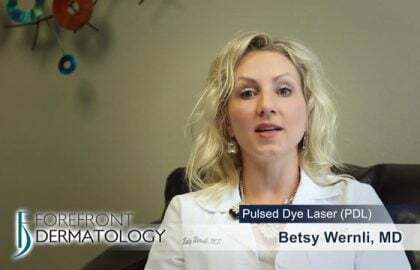 I am always comfortable with Dr. Wernli and would recommend her and her staff to anyone. I just went in for My Face/Eye/Neck-Saving Creams&Serums To See The Most Helpful &Caring Crew Of FFDerm! I Get My Creams’ N Technique Training frm My Creative Crew but I Got Great HUGS frm These FAMILY’FOLKS too! So See Them During This CraZy Snowy Weather & Get Ur’selves Ready For a’Spatacular-look for SPRING!! These FFFolks’ R The Best! LaFleur L, Wernli B, Allen P, Wild R. Acanthosis Nigricans and Metabolic Associations. Skin and Aging. 2006 September. Schwieger E, Riddle C, Wernli B, Tonkovic-Capin V. Comparison of Poly-L-Lactic Acid and Calcium Hydroxylapatite for the treatment of Human Immunodeficiency Virus-Associated Lipoatrophy. 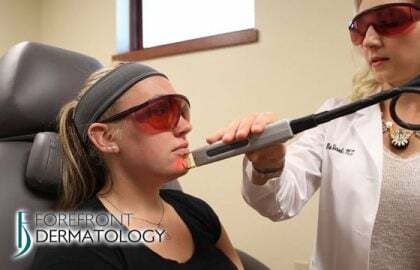 Cosmetic Dermatology. 2007 May; 20(5):304-312.